I have a simple page where I occasionally post links to web things I make. The design couldn't be much simpler: fixed width images (I know, I know) and a short description of what each thing does. Both should be avoided but that second bullet is the one that really hurts– you'd always see placeholders where the images should be when visiting the page. summarizes where I ended up. 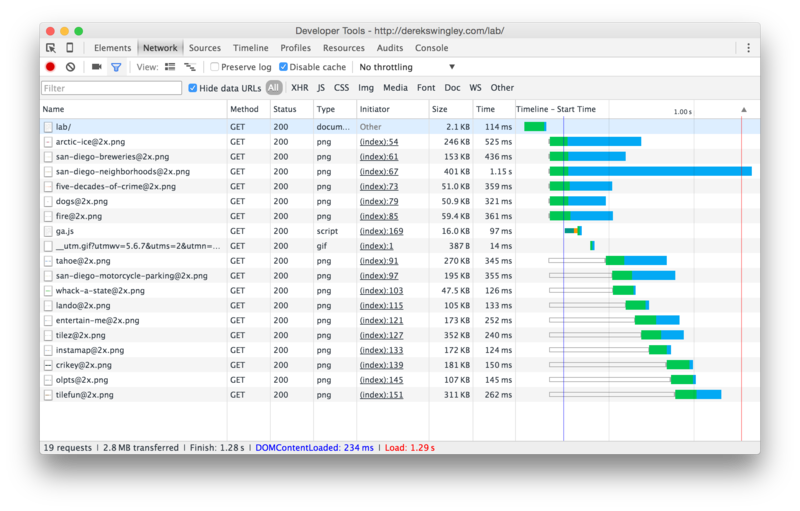 It's more verbose but the trade-off is significant when looking at page load times. With JS hack, the page was taking roughly two seconds to load. Using srcset, that's down closer to one second. Using some fuzzy math, that's a ~50% faster page load! 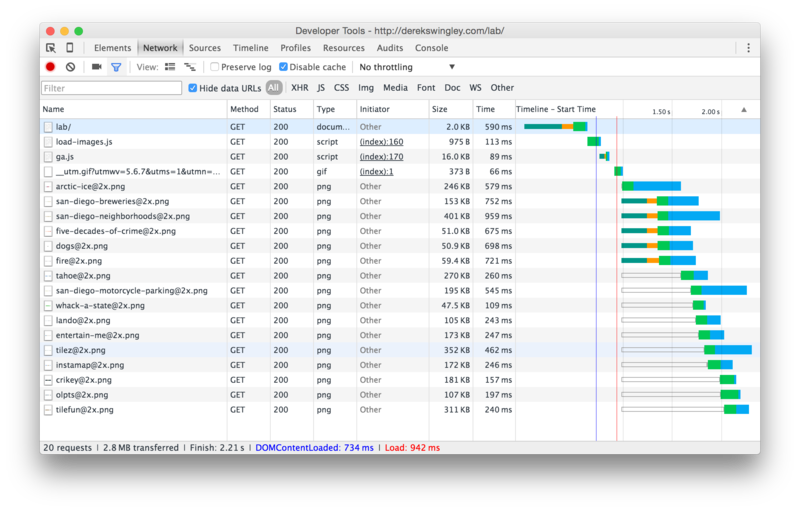 Saved an http request, I have less JS to fiddle with and the right DPI image (and only the right DPI image) is always sent.